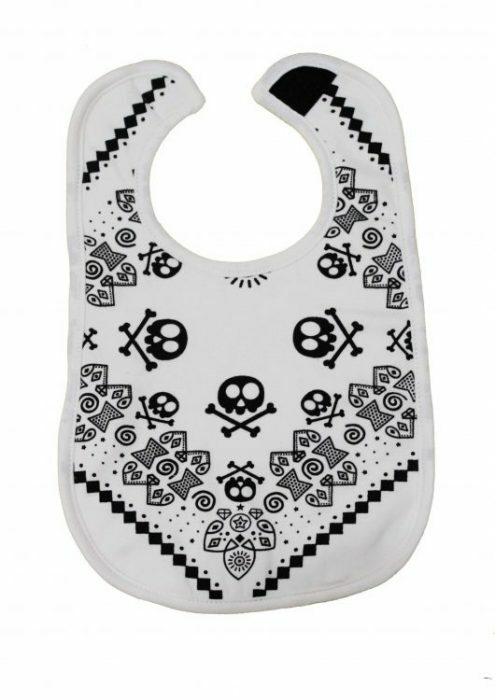 Rock up any meal time with this set of 2 rock star cool baby bibs, bring on the guitar solo little one… but finish your pea’s first please. 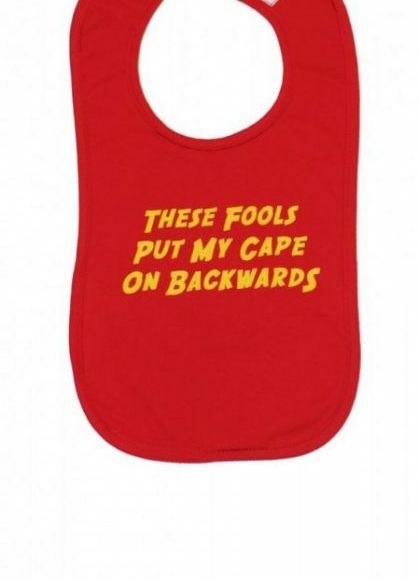 Rock up any mealtime in this set of 2 rock star cool baby bibs. Set of 2 making it an ideal epic baby shower gift, 1 x white, 1 x black. Incredible quality soft cotton fronts & stay dry fleece backs to keep little chests clean & dry. 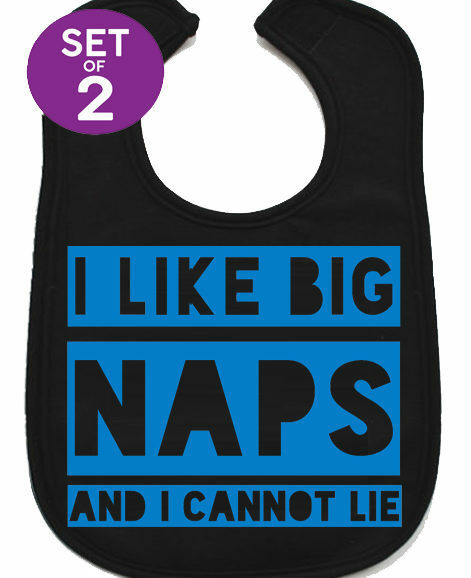 Designed to be comfortable, soft & keep baby happy. 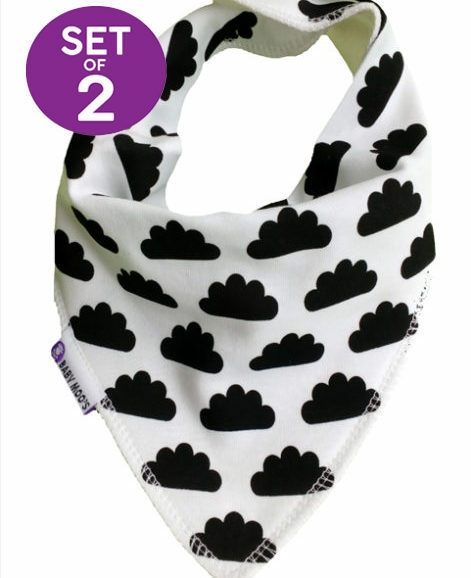 Super cool rock star bandana print front rivalling Axl Rose’s famous head wear! 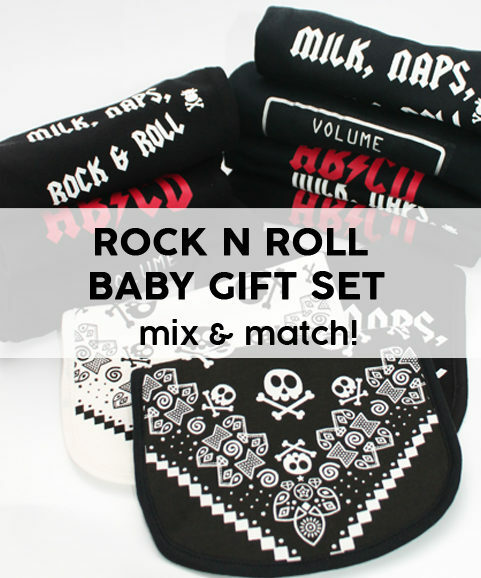 Velcro fastening for easy on when it’s time for your cute baby to rock out!